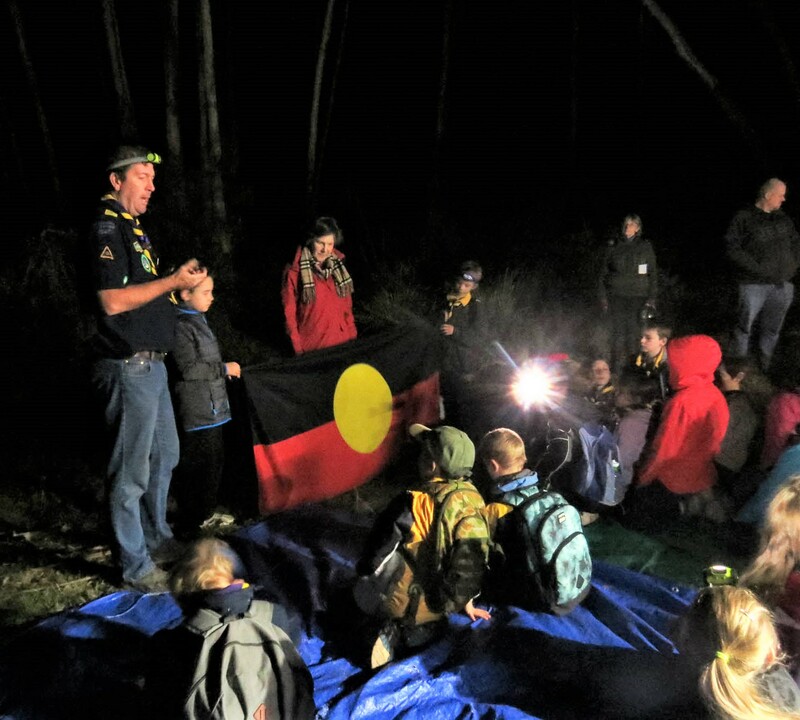 Cub night for Eltham North on Wednesday 23 May 2018 was special. 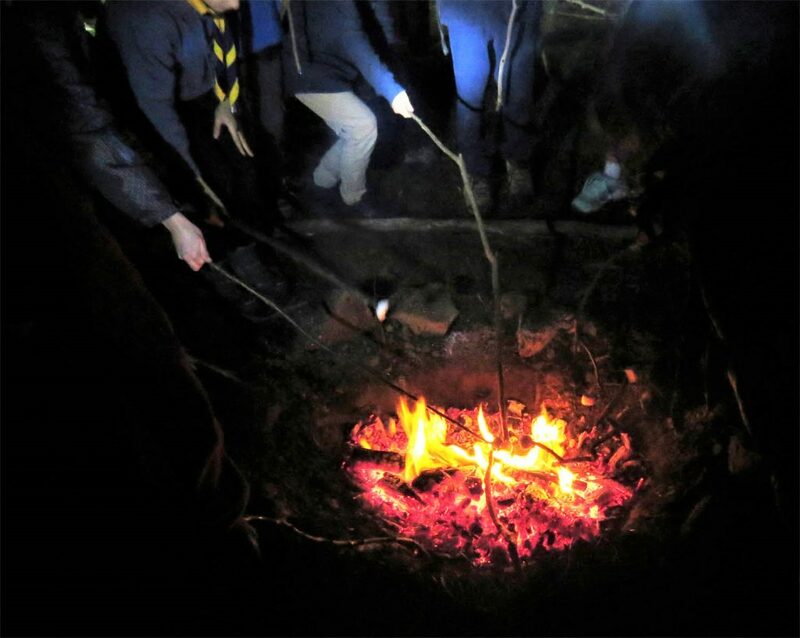 At the Gawa Trail we had a large fire pit alight as 20 cubs , five leaders and a number of parents arrived with torches. 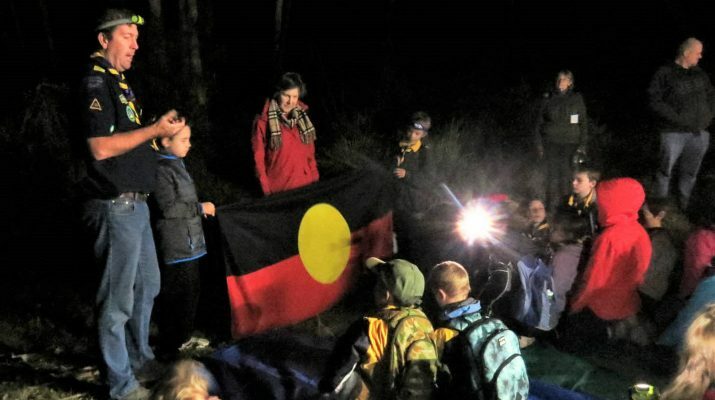 We had prepared clip boards with question sheets and after a talk about the Tanderrum or traditional welcome ceremony they were off through the trees with torches pausing at each plaque , answering the questions and moving on to the next one. 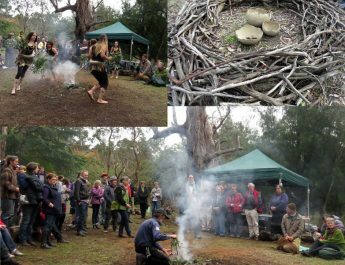 An exciting way to learn . 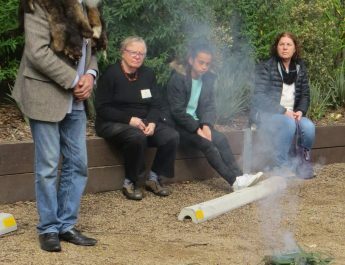 After all the learning was over, marshmellows on sticks hung over the fire and were popped into waiting mouths. Memorable in every way!